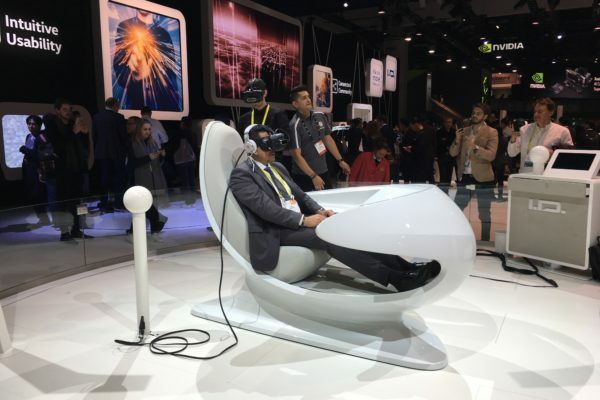 We were fairly overwhelmed by the massive spectacle of innovation that is CES. Spanning multiple convention halls and hotels across town–pretty much every venue was hosting some sort of CES-related happening. From industry giants to budding startups, everyone was trying to shout through the noise. Numerous companies in hot categories across AI, VR, wearables, robotics, and drones vied for attention, while hair growth solutions and dream amplification devices elicited skeptical curiosity at best. For a place choke full of sensors, ours were certainly on overload. 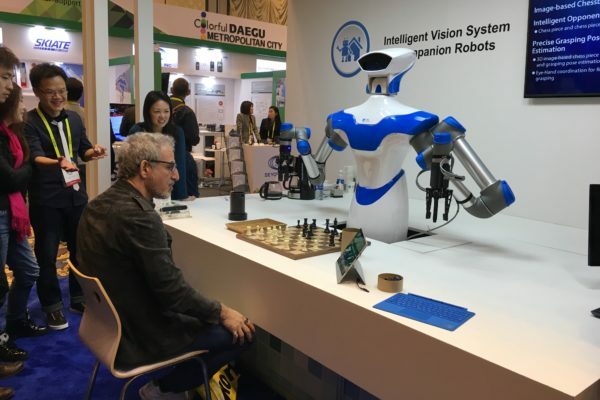 A chess-playing robot, powered by artificial intelligence. At the main convention center Brian and I were fairly blown away by the multi-million dollar executions surrounding us. These were the big boys flexing their next life-changing solution, trying to prove they’re still dynamic and fresh. One spot these two baseball geeks enjoyed was Intel’s wearable analytic technology, optimizing athletic performance by collecting real-time performance and providing posture feedback to improve your swing performance. And not only was the tech amazing, but we were a bit surprised just how pleasant the Intel staff were despite the insane crowds. This insane vision of the future was presented at the Volkswagen booth. If the Main Expo Hall was for the big boys then the Sands Expo was where your next big thing could be found. One such concept was Chicago-based startup Tanvas showing off their haptic technology, bringing the sensation of texture to the touch screen experience. 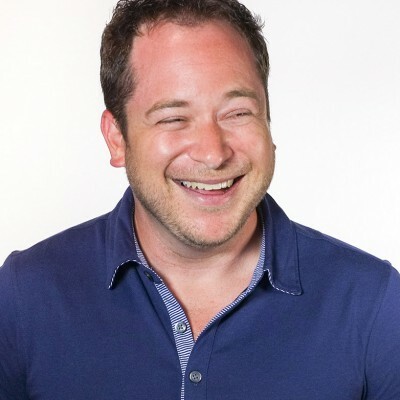 We were amazed by the world of opportunity this tech could open up—and immediately wondering how this could revolutionize the ecommerce experience. Who knows, maybe Smell-o-vision is finally right around the corner. It was exciting to see our clients make up some of the most forward-looking tech we saw. 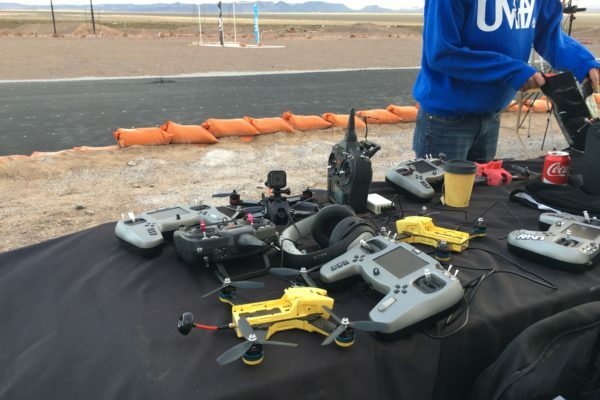 Our trip out to the Vegas Aerodrome allowed us to see UVify tear it up firsthand at the Drone Rodeo. Wowing onlookers with its stunningly fast speeds and innovative design, these guys were clearly looking to define the drone racing market, and the press couldn’t get enough of them. Their story continued throughout the weekend as the public lined up to learn more at the UVify booth in the exhibit hall. Needless to say, my skills on UVify’s flight training simulator were far from impressive. I may need to leave high-speed drone racing to the pros. Brian and I were lucky enough to see UVify’s Draco in action at the Drone Rodeo. 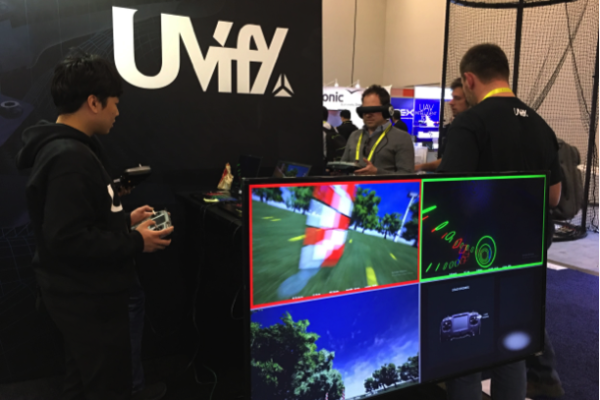 UVify’s flight simulation, featuring Avegant Glyph headsets. Another treat was UVify’s successful partnership with Avegant throughout the show as their headset of choice. It was very cool to see the Glyph and the Draco impressing attendees and the press alike. Even Notion got in on the fun, generating buzz at Pepcom with the email app’s integration with Amazon’s Alexa. Yes, it was a fun and exhausting trip to Vegas—24-miles-walked exhausting. But in the end, it was an awesome experience and we’re definitely looking forward to tackling CES 2018 as seasoned pros. Now, time to order that Albert Einstein robot we saw. I’m sure it will be super useful.